For any given driver, a collision is a rare event. But in a large population of drivers, accidents happen every day. For insurers and large fleets, crashes are not unexpected peril, but day-to-day business costs that must be managed just like any other expenses. That’s why we are excited about the newest services of CrashBoxx™: instant crash alerts, accident reconstruction and predictive physical damage. These capabilities promise to automate and improve two key steps within the claims process: vehicle repair and third party loss recovery. Automating these two steps reduces claims cycle time, lowers cost, and improves both subrogation and customer satisfaction. When a collision occurs, CrashBoxx immediately reports it and sends data about the crash that can help the driver get needed assistance quickly. CrashBoxx with accident reconstruction provides technical data on a crash event, similar to the car’s event data recorder (EDR) but with one big difference: CrashBoxx makes the crash event data available to insurers and fleet users within minutes of the crash on their desktops. CrashBoxx with predictive physical damage goes a step further, helping to determine in real time whether the vehicle is repairable or a total loss. The ability to triage vehicles immediately in the field helps customers determine at the moment of the crash whether the car is repairable. If not, the car can be declared a total loss at the scene without an adjuster travelling to the site, instead of days later on the floor of a body shop. Correctly triaging total loss vehicles enables straight-through processing, saving the insurer hundreds of dollars in unnecessary towing and storage costs. For industries that manage large groups of vehicles, these capabilities are not just helpful for mitigating the effect of a single unfortunate event, they are critical in predicting and managing cost. 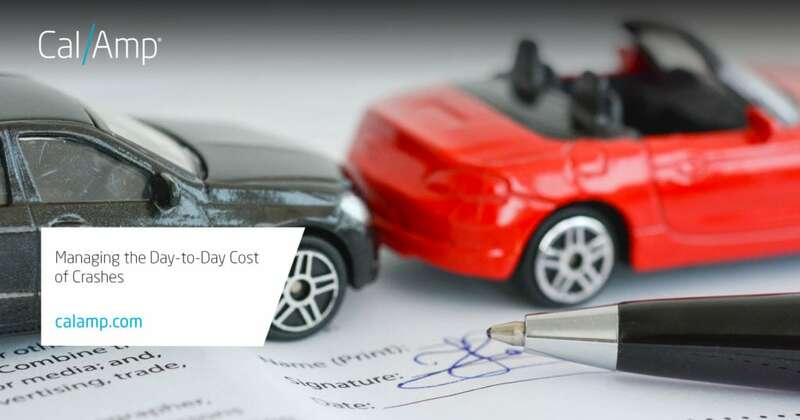 Claims process savings enabled by CrashBoxx are estimated to reach 20% of the cost to process a claim, delivering significant competitive advantages to carriers and fleets who embrace this new technology. Fleet managers can start by creating and announcing policies that reward safe driving and minimize company liability. When collisions do occur, CrashBoxx can help drivers and other field personnel get assistance quickly. Predictive physical damage helps manage and control cost, and accident reconstruction helps determine what driver behavior may have contributed to the crash and provides essential data during the subrogation process. Needless to say, with CrashBoxx unreported collisions are a thing of the past. For insurers, trusted data from CrashBoxx can greatly reduce opportunities for fraud. By automating damage assessment and vehicle triage, CrashBoxx lowers the processing cost for claims. For insurers as well as fleet managers, analysis of crash data can help identify trends that lead to better driver behavior, smarter policies and lower costs. These exciting CrashBoxx features provide immense benefit across industries, with effects that cascade down to the end user. To learn more about instant crash alerts, accident reconstruction and predictive damage, check out the CrashBoxx Announcement.